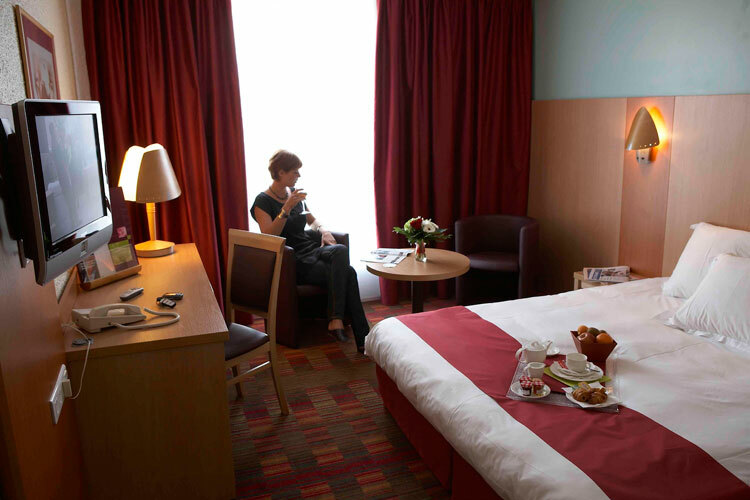 Discover the charm and elegance of our hotel on the edge of Lille in the Nord (North region of France). Hôtel Altia Tourcoing Lille, in the heart of the Lille European Metropolis (MEL) will charm you by a warm and discrete welcome, its tasteful decor and dedicated service in this renovated establishment. Our restaurant offers a varied menu with traditional French regional dishes. From appetizers to desserts, enjoy! In the garden, you will be able to take your meals at the terrace by the pool.